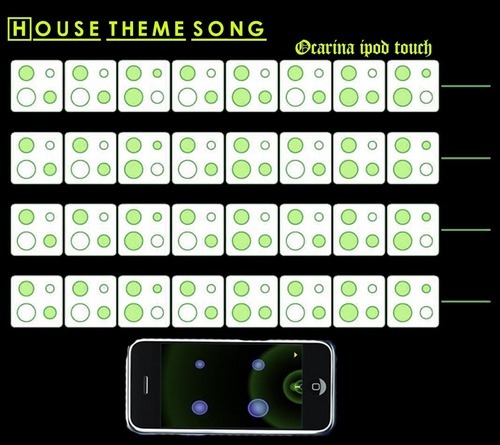 House theme song notes ((((OCARINA ipod touch, iphone and ipad)))). House theme song notes ((((OCARINA ipod touch, iphone and ipad)))). HD Wallpaper and background images in the Huddy club tagged: house md huddy lisa edelstein hugh laurie lisa cuddy gregory house. This Huddy photo might contain computer keyboard and keypad. OMG I have an ocarina I'm totally trying this out! !